Nicolas Barsalou is one of the founding partners of Accuracy. Before that, he was a Partner at Ernst & Young (ex Arthur Andersen), a firm he joined in 1998 after several years in two corporations, in which he acquired a broad range of financial and accounting skills. With more than 25 years’ experience in corporate finance, Nicolas specialises in complex financial projects conducted in an international environment, whether in litigation or arbitration (including damage assessment and forensic accounting) as well as transaction advisory services (financial due diligence for mergers and acquisitions). He also performs valuation work on a regular basis. With a truly international profile, Nicolas monitors a major part of Accuracy’s geographical expansion and has successfully led engagements on all continents. Nicolas speaks French, English and Spanish. Nicolas Barsalou has significant experience in Construction, Telecom & Hi-Tech, Transport and Logistics, Manufacturing and Professional services. Furthermore, he leads Accuracy’s Real Estate practice. 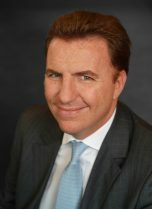 Nicolas has been appointed many times as expert witness in high court litigations and international arbitrations, dealing with the investigation and quantification of damages resulting from post M&A, accounting, construction, investment, tax and commercial disputes. He has given oral evidence many times, both in English and French, in various jurisdictions. Nicolas also performs transaction advisory services and valuations on a regular basis, mostly for large listed international corporations. He is Accuracy’s expert dedicated to complex accounting issues.